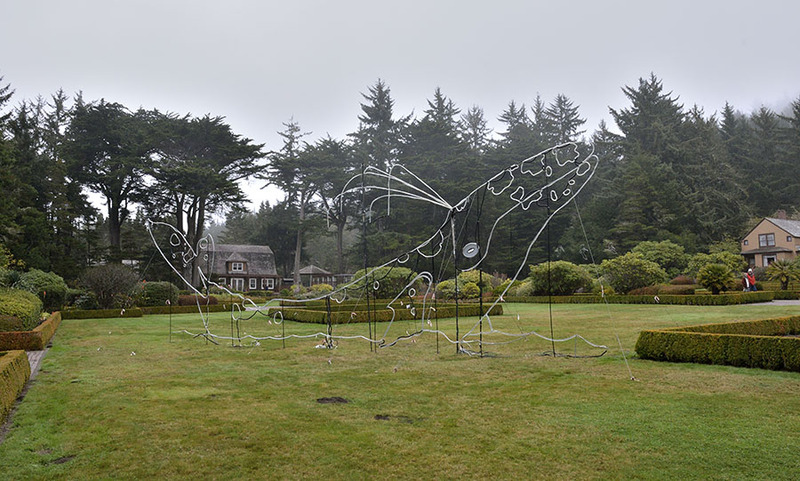 Our final stop on the Oregon coast was the area around Coos Bay. The weather continued to be more “fall-like”, which is a euphemism for dreary, misty, and rainy. But it provided a suitable moodiness for the craggy coastline – just a different kind of beautiful. 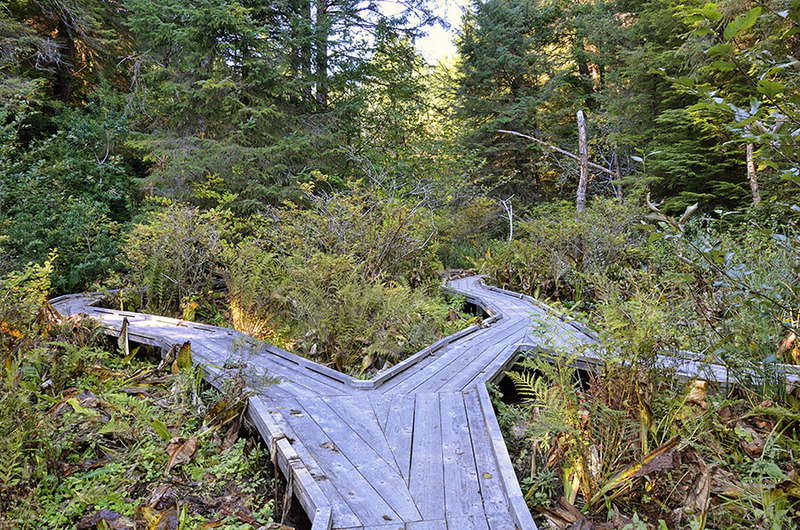 We hiked several trails in the South Slough National Estuarine Research Reserve, hoping for some migratory bird sightings but keeping our expectations low since it was not the best timing. Regardless, we had fun exploring the trails through the forest and marshes and got a lot of good exercise in the process. We spent a rainy afternoon walking around the small downtown along the Coos River, capped off by a visit to the Coos History Museum and Maritime Collection – which was superb. We have found that little museums in smaller places often far exceed their modest settings. 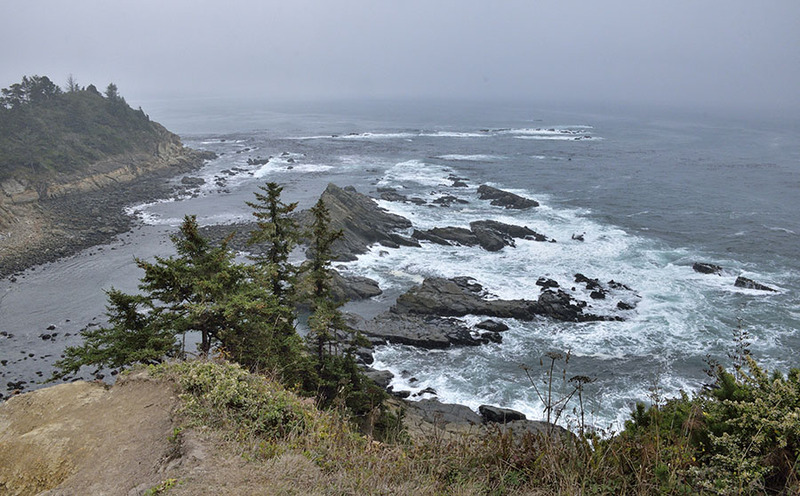 We spent another day exploring three state parks along the coast – Cape Arago, Shore Acres and Sunset Bay. Barking sea lions were numerous and loud enough to be heard over the crashing surf, and black turnstones and sea birds searched for food around the rocks. 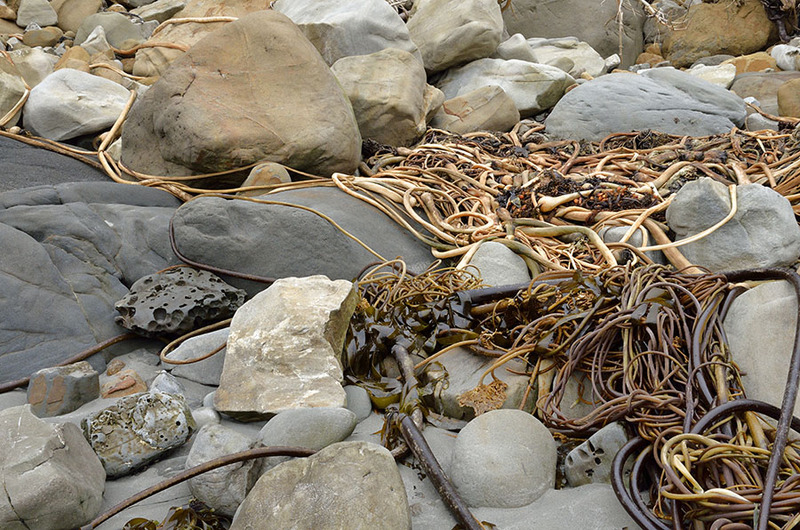 We hiked down to the wild beach, marveling at the logs flung high up on the shoreline and tangles of bull kelp. Someone got pretty creative with smaller drift logs and a natural cave. It was also pretty neat to explore some of the odd alien-like rock formations. 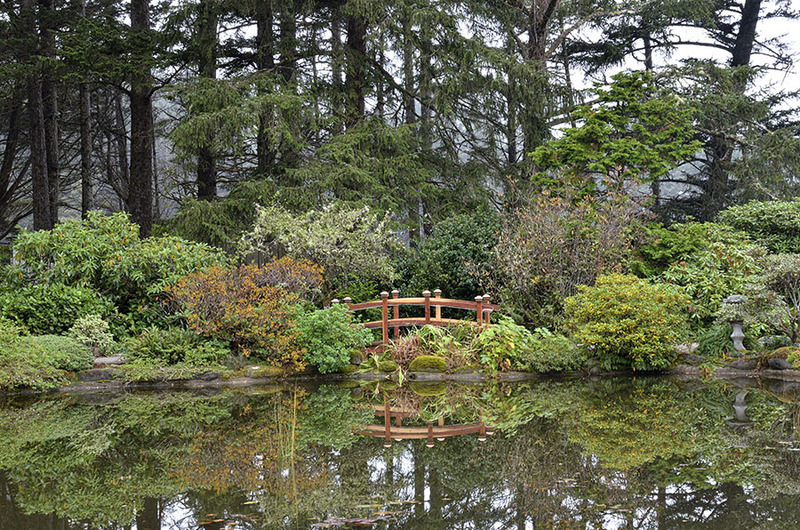 In 1906 the wealthy, generous and influential Louis J. Simpson built a mansion and magnificent gardens on the cliffs near Cape Arago, calling it Shore Acres. 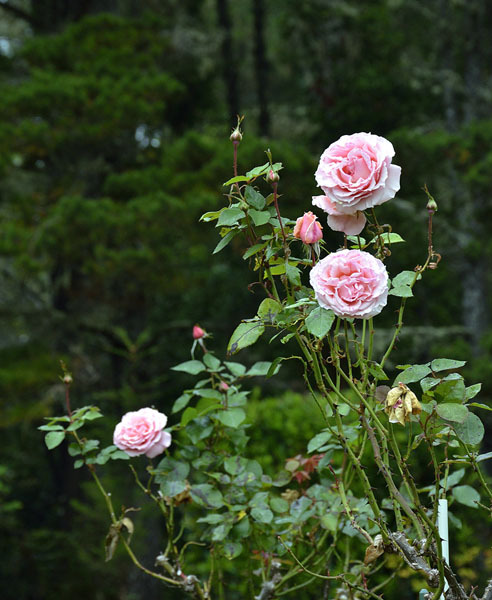 Now a state park, Shore Acres still has an amazing array of beautiful gardens – formal, Japanese… …unusual… …and a rose garden. 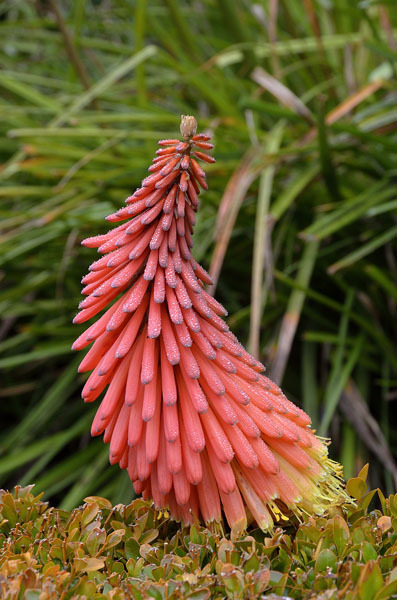 Late October is not prime season for touring gardens in coastal Oregon, but we enjoyed seeing the few blooming plants as well as watching an army of electricians installing the annual holiday light show. Lighted sea lions leaping, birds flying and a spouting whale were just a few of the delights to brighten the dark holiday evenings. We were disappointed that we wouldn’t get to see it all completed – I’ll bet it’s quite a treat for the eyes! Regardless, the view from the edge of the cliff – where the original mansion was built – was awesome. 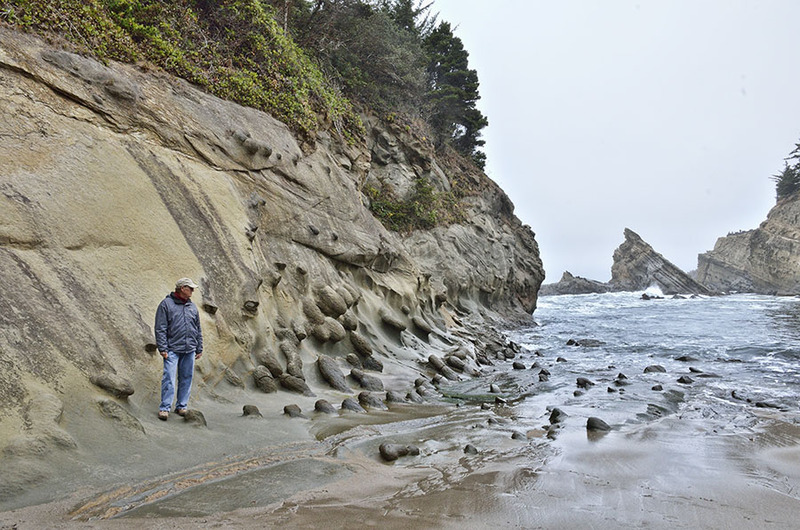 Virtually next door to Shore Pines is another of Oregon’s MANY state parks – Sunset Bay. 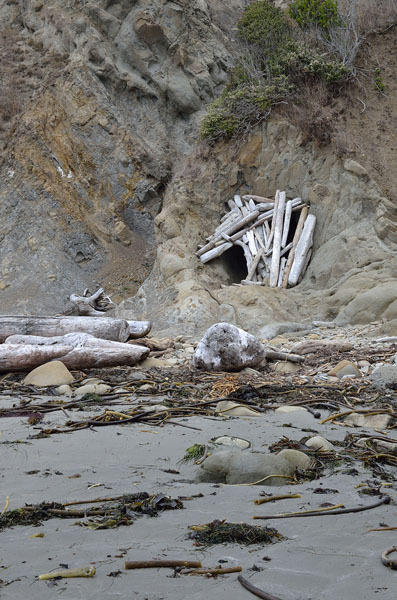 It looks like it’s a popular bathing beach in the summer months but it was also nice to just stroll, do a little beach combing, and to hike up to the viewpoint above it. 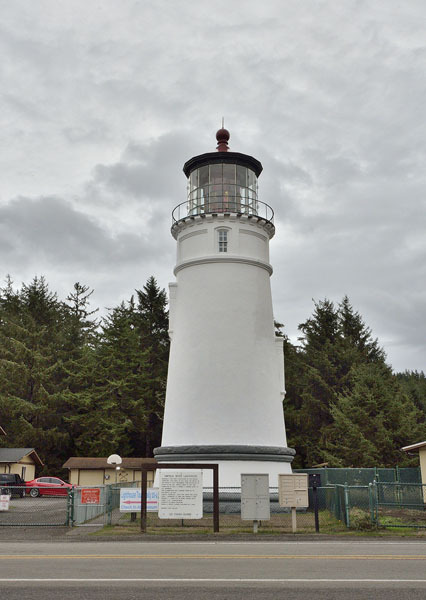 Our last of the many lighthouses to visit was Umpqua Lighthouse on the Umpqua River a little north of Coos Bay. The lighthouse sits on Coast Guard property, adjacent to CG housing. We arrived in the nick of time for the last tour of the day, and it was also the last tour of the season for the volunteer gentleman who took us up into the light. He said it was more fun to give a tour to people who knew something about navigation and who appreciated the importance of lighthouses. 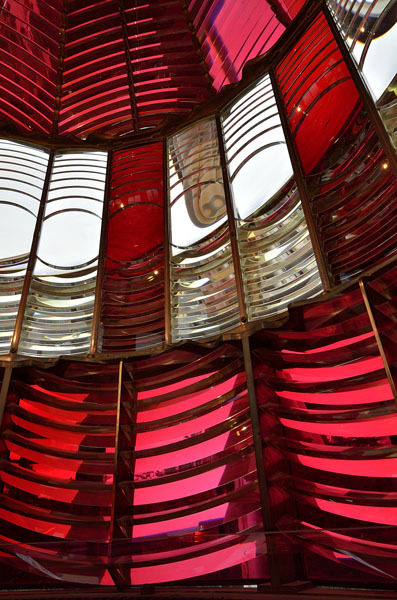 Imagine keeping all those pieces of the first-order Fresnel lens clean back in the day! The lighthouse was a great way to wrap up a marvelous road trip. 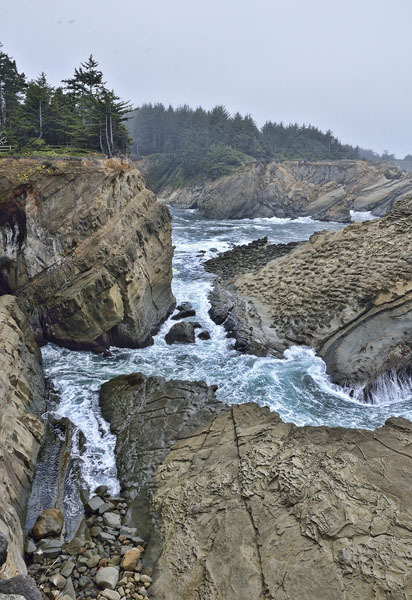 We’re so lucky to have been able to do and see so much, yet we feel like we barely scratched the surface of what the Oregon coast has to offer.